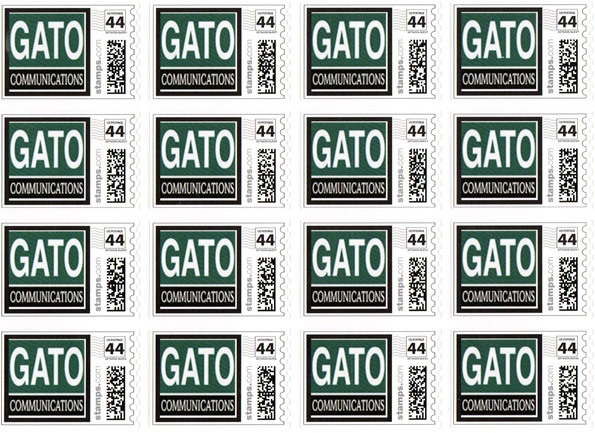 Gato Communications advises governments, institutions, corporations, experts and non-profit organizations how to communicate better to raise their impact, reputation and image. Regarding corporations, this assists them to increase their client base and further develop their business. Gato Communications specializes in Media Training where our clients learn how to build effective messages that result in greater public impact. Gato Communications offers its media training courses in English and Spanish all over the world. For additional information, please visit us at www.gatocommunications.com. “We are thrilled with this stamp because it’s the perfect marketing tool to continue spreading our name nationally and internationally. From now on our logo will be traveling on letters to our clients in Latin America, Europe, Asia and Africa,” said Pablo Gato, CEO at Gato Communications. This entry was posted on October 18, 2011 at 10:48 am and is filed under Comunicando el mensaje, Media Training. You can follow any responses to this entry through the RSS 2.0 feed. You can leave a response, or trackback from your own site.